Improvements are being done on 19th Street at the TACID entrance to TCC. 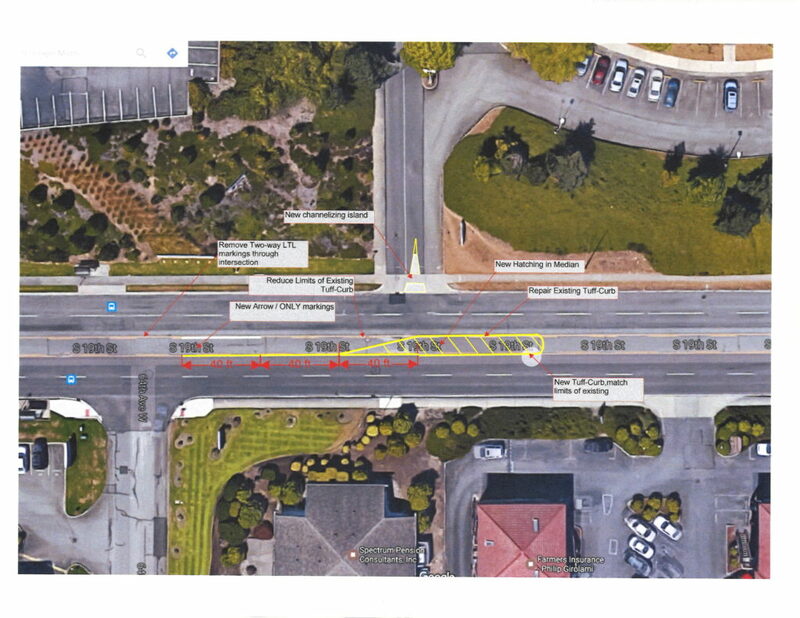 These changes will involve changes in the center turn lanes to reflect more of an island and turn lane for 64th. These changes have been approved by the City of Tacoma and City of Fircrest to help alleviate traffic problems at that intersection. See attached plan for improvements. This work is scheduled to start August 20, 2018.